GraceConnect » Who ARE the Brethren? As the various branches of the Brethren church movement plan to gather this coming August 2 and 3 in Schwarzenau, Germany, to celebrate the 300th anniversary of the founding of the movement, it may be helpful to know more of the context and current configuration of the various Brethren groups. Here is a capsule summary, as prepared by Dr. Dale Ulrich of the Brethren Encyclopedia board. The Brethren movement began with the gathering of Pietists in Schwarzenau, Germany, from other parts of Germany and Europe in the early 18th century. By this time the Bible was available for common people to study and to formulate their own opinions about how a follower of Jesus should live and what the nature of the Christian church should be. In the early 1700s, the tolerant Count Heinrich Albrecht, ruler of the Wittgenstein province, invited Pietists to settle in Schwarzenau. Alexander Mack and many others settled there, studied together, and decided to form a new church. Five men and three women went to the Eder River one morning in August 1708. One of them baptized Alexander Mack by immersion three times forward, and he likewise baptized the others, thus forming a new church and, by doing so, committing an act of civil disobedience. For fear of persecution, in 1720 a group of some 200 Brethren walked from Schwarzenau to the Netherlands and nine years later immigrated to America to join a small group of Brethren who had immigrated earlier from Krefeld, Germany. In America, the German Baptist Brethren spread out from Eastern Pennsylvania moving west to Ohio and beyond and also south to Maryland, Virginia, and beyond in that direction. In time as experiences evolved in America, the German Baptist Brethren divided. Today the six largest Brethren bodies function as separate entities. They are Church of the Brethren, Old German Baptist Brethren, The Brethren Church, Dunkard Brethren Church, Fellowship of Grace Brethren Churches, and Conservative Grace Brethren Churches International. Each of the Brethren bodies continues to baptize new converts as adults, as did the small group of first members in 1708. Following is a brief description of each one. After two major divisions in the 1880s, the German Baptist Brethren, the largest body, retained that name until it was changed in 1908 to Church of the Brethren (135,000 members in 2000). In the early 20th century, as church members increasingly related to the world, distinctive dress diminished. Colleges were founded in the late 19th and the beginning of the 20th centuries. Bethany Theological Seminary was started in 1905 to prepare professional ministers for the church. In 1958 the Church of the Brethren authorized ordaining women for the ministry. In the 20th century, the Church of the Brethren developed international missions principally in China, India, and Nigeria followed by missions in Brazil and the Dominican Republic at the close of the century. The Brethren Press began as the Brethren Publishing House in 1897. The current periodical of the Church of the Brethren, Messenger, traces its formation from The Gospel Messenger and the earlier The Gospel Visitor (founded in 1851). The Church of the Brethren developed a large and effective Brethren Service program during World War II which enabled many conscientious objectors to serve in constructive programs operated by the church. After WWII, clothing and food were collected and sent to needy persons around the world, and Heifer International, Brethren Student Exchange, SERRV International (A Greater Gift), and Brethren Volunteer Service were initiated. The Church of the Brethren is a member of the National Council of Churches and the World Council of Churches. Traditional Brethren practices in addition to adult immersion baptism include three-fold love feast (feet washing, meal, and bread and cup) and anointing of the sick are very much part of the Church of the Brethren. The church’s motto is Continuing the Work of Jesus. Peacefully. Simply. Together. The Old Order Baptist Brethren organized in 1881. Members of this conservative body tend to be somewhat separated from society while maintaining strong spiritual and social ties among themselves. An emphasis on being faithful to their heritage over the years has led “Old Orders” to retain distinctive dress and to being cautious about adopting technological innovations. Today, there are 55 congregations existing in 16 states with about 6,000 members in 2000. Typically, several ministers serve an Old German Baptist Brethren congregation without pay. They support their families by farming or other employment. Most members are high school graduates with a few pursuing higher education and professions such as medicine. Many families have adopted home schooling for their children. The Vindicator, started in 1870, is an uninterrupted publication that serves the Old German Baptist Brethren under a committee appointed by the church. In 1882 a collection of hymns and songs was published. Annual Meeting is held each year at the time of Pentecost. Each congregation holds a two-day love feast yearly—twice a year in some congregations. The Brethren Church (about 13,100 members in 2000) was formed in 1883 after many “progressives” were disfellowshipped by the German Baptist Church because of their aggressive advocacy of Sunday schools, Brethren higher education, world missions, and a salaried ministry. Thus, The Progressives established The Brethren Church to move forward on these issues. Most of the administrative structures of The Brethren Church have been combined under an Executive Board with two ministries: USA and International. Communication is facilitated by the periodical The Brethren Evangelist, the successor of The Progressive Christian, begun in 1878. Core principles of The Brethren Church include limited congregational government, reliance on the Scripture and the Spirit for direction, and the responsibility for evangelism at home and abroad. The ordinances of trine immersion baptism, the three-fold love feast, and anointing of the sick continue to be practiced. Ashland College was established in 1878 and was controlled by The Brethren Church. In 1906 the Theological Department at Ashland College reorganized, thus laying the foundation for Ashland Theological Seminary which is now one of the largest seminaries in the United States. In 1900 the Foreign Missionary Society was formed, and early mission work was conducted in Argentina and Africa. These works came under the control of the Fellowship of Grace Brethren Churches in 1939. Missions now include work in Argentina including South American Theological Seminary, Malaysia, India, Mexico, Colombia, and more recently Paraguay, Peru, Philippines, Spain, and Canada. The Brethren Church supports World Relief, an agency of the National Association of Evangelicals. The Dunkard Brethren Church is a small body of conservative Christians (about 1,000 members in 2000) originating from the Church of the Brethren in 1926. Their goal was to preserve the “old ways” at a time when changes were occurring in the church. The nature of the church, Christian doctrine, the salaried ministry, plain dress, and attitude toward divorce were all issues of concern. Publication of The Bible Monitor began in 1922 and today is published by a committee within the Dunkard Brethren. Dunkard Brethren meetinghouses are functional, simple structures. Deacons, ministers, and elders are elected by each local congregation and serve without salary. In large congregations, there are several ministers. Love feast consisting of washing of feet, a meal, and communion is celebrated semi-annually in each congregation. General Conference is the final authority on issues brought before it. Mission work among the Navajos of New Mexico began in 1956, and in 1995 an Africa Mission began in Kenya. Setting an example for Christian living is viewed by Dunkard Brethren as their mission. They emphasized fulfillment of the Great Commission through mission work and diligent study of the Bible. In the 1930s, strong differences of opinion arose among faculty members at Ashland Theological Seminary that resulted in some leaving in 1937 and forming Grace Theological Seminary. Each congregation in The Brethren Church then needed to decide which seminary it supported. 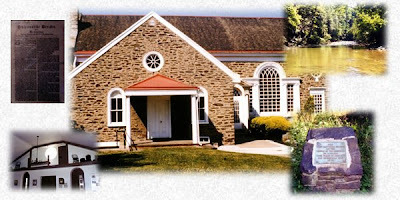 The congregations affiliating with Grace Theological Seminary formally became the Fellowship of Grace Brethren Churches 1939 (about 28,400 members in 2000). In the Fellowship of Grace Brethren Churches, each congregation is autonomous and retains membership in the Fellowship by paying annual dues. The Fellowship organization includes Grace Brethren International Missions, Grace Brethren College and Seminary, Brethren Missionary Herald Co. (BMH), and Grace Brethren Investment Foundation. A Fellowship Coordinator is employed to provide logistics for conferences and to provide a central point of focus. With an emphasis upon fulfilling the Great Commission by each congregation starting another one, the Fellowship of Grace Brethren Churches is establishing affiliate congregations in many parts of the world, including central Africa where more than more than 1,500 Grace Brethren churches now minister. The Brethren Missionary Herald Magazine facilitated communication among Grace Brethren Churches from 1940 to 1996. In 2004 publication of FGBC World began, and BMH was revitalized as an independent book publisher. Growing out of concern for the loosening of standards for membership in the Fellowship of Grace Brethren Churches, a group of members formed the Conservative Grace Brethren Association. When the petition for recognition of the Association was denied by the Fellowship of Grace Brethren Churches, a new Brethren body was formed with the name Conservative Grace Brethren Churches International. Local congregations are autonomous, and membership in the denomination can be held only by congregations. Twenty-four congregations and 70 pastors originally established the Fellowship. There were approximately 2,200 members in 2000, and currently there are about 50 congregations. International missions have begun in Africa and Germany. Training for new pastors is through local Theological Practica endorsed by Conservative Grace Brethren Churches International. Annual Conference, normally held during the weekend of July 4, conducts necessary business and celebrates the full love feast and communion. In 1973 M. R. Zigler called a meeting of representatives of the Brethren bodies “just to shake hands.” That meeting led to other meetings, and in 1977 the decision was made to publish The Brethren Encyclopedia with Donald F. Durnbaugh as editor. A Board of Directors was formed with one member of each of the Brethren bodies with the understanding that no action would be taken unless it was a unanimous decision to do so. Over the years a magnificent spirit has developed among Board members as they have overseen publication of four volumes of The Brethren Encyclopedia, an outstanding Monograph Series of seven volumes with William R. Eberly as editor, and other publications. The most recent monograph is The Origin of the Schwarzenau Brethren by Marcus Meier to be published in German and English in 2008. Brethren Encyclopedia, Inc. has also conducted three Brethren World Assemblies. The Brethren Encyclopedia Board of Directors is pleased to represent the Brethren bodies in sponsoring the 300th Anniversary Celebration / 2008 Brethren World Assembly in Schwarzenau, Germany, on August 2-3, 2008. The Brethren Encyclopedia, Volumes 1-2 (1983), Volume 3 (1984), Volume 4 (2005). Calendar, Celebrating 300 Years of God’s Faithfulness to Brethren, 1708-2008 (2007). Thanks Terry for the Brethren history. It was a good remeinder of where we came form , where we are now and where we are going...The latter will be interesting to see.